Yes, we offer 20% off discounts to non-profit, educational, and government agencies. Contact sales@SimonSezIT.com for more information. Do you provide any group discounts? Yes, we offer group discounts or multiple users. 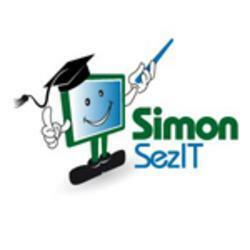 Contact sales@SimonSezIT.com for more information. We started our company in 2008 with our first course for Excel 2007. Since that time, our company has published over 60 courses, with tens of thousands of satisfied customers in over 100 countries. Simon Sez IT is located in sunny Los Angeles, California. We offer Certificates of Completion for courses that offer an online quiz (currently over 50% of our courses). The Certificates of Completion are offered as part of the online test/quiz, which accompanies the course. You will need a passing grade of 70% in order to receive a Certificate. The quizzes are based solely on course content. We offer online testing for over 50% of our courses. Testing is also available with our newly published courses. The course tests can be simply used as testing tools or to earn a Certificate of Completion for a given course. The Certificate of Completion can be earned with a passing grade of 70%. All of our courses are compatible with iPhones and iPads and most Android devices. If you are looking to confirm that it works for you, feel free to view the free preview videos offered for each course. Will your videos work with Mac computers? All of our courses are compatible with both Windows (PC) and Mac computers. Can I interact with others who are taking the same course? Yes, you can interact with others by using the discussion section offered for each course. What if I have questions or problems while I am watching my tutorial? Should you have any problems using the system, we offer free technical support to customers. Just send an email to support@StreamSkill.com and we will respond promptly. Can I try a course I am interested in before I purchase a course? Absolutely. The first set of videos for each course is free. Our thinking is that this allows you to hear the teacher's voice and see the visuals. To watch a free video, just click onto the course of interest. Then click the video lesson that has the \“Preview\” button. Do you offer a subscription option? Yes, we offer a monthly or annual membership. Any monthly or annual subscription includes unlimited access to all StreamSkill.com courses including new courses released while your subscription is active. Click here http://streamskill.com/course/streamskill-membership/ to get additional details about the Ultimate Training Library membership. We offer an unconditional 30-day full money back guarantee – with no questions asked. As a result, you can rest assured that you can make your purchase in complete confidence. Our motto is \“If you don't learn, you don't pay.\” Thanks to our 30 days risk-free offer, you can test-drive a course and make sure it's what you had in mind. We are committed to your total satisfaction! How long do I have access to the class that I purchased? After purchase, you will have unlimited access to this course for as long as you like - across any and all devices you own. © 2018 Simon Sez IT, Inc.